Dale Weise’s respect for one of the greatest goaltenders in the game came long before the two would become teammates. For the first 162 games of his NHL career, spark-plug winger Weise didn’t see a great deal of Montreal backstopper Carey Price in game situations. In some ways, he was grateful for those few opportunities. It wasn’t just what Weise saw Price do during games that impressed. Weise isn’t alone in failing to get the better of Price, regular season, playoffs, or otherwise. The British Columbia native led goaltenders in a slew of categories in 2014-15, including wins, goals-against average and save percentage, earning him status as a Hart Memorial Trophy and Vezina Trophy finalist. 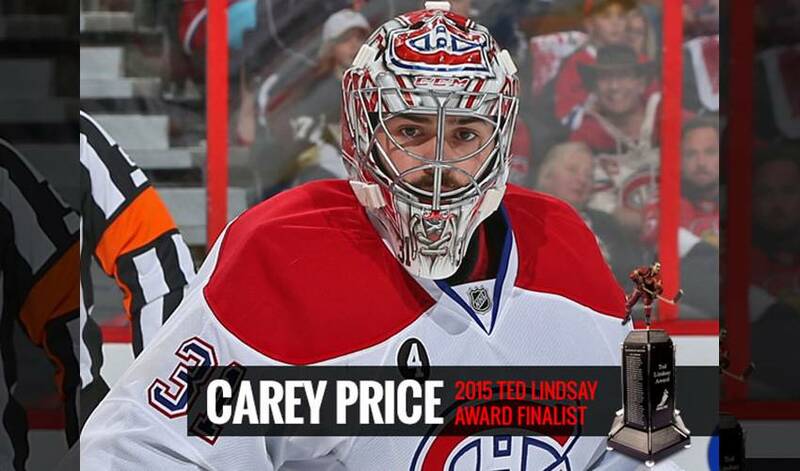 It certainly came as no surprise to Weise to see Price’s name on the short-list for this edition of the coveted Ted Lindsay Award. One of hockey’s biggest talents doesn’t come with a big ego. And the type of player and person that teammates are willing to do anything for.